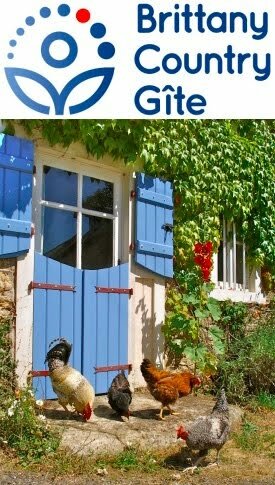 Scavenging: A lot of what we do here on our permaculture smallholding is to do with the production and processing of our own food. But it can be even simpler: sometimes you just need to help yourself. No, I’m not talking about shoplifting but rather scavenging. For example, this time of year the hedgerows are full with ripening blackberries. 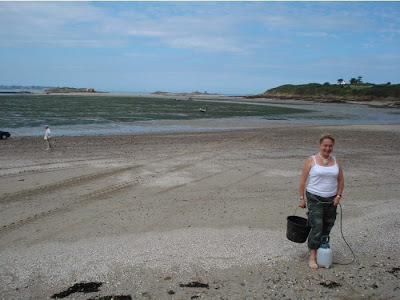 For her birthday, Gabrielle fancied a day at the coast and after a relaxed and comprehensive lunch, we went for a stroll on the beach … with a garden sprayer filled with saturated salt solution and a builder’s bucket (see photo at top). We were after razor clams, known here as couteaux (knives) who live in the sand. The idea is that you spray a jet of salt solution down their holes in the sand and they pop up moments later, either (we’ve read of two pro-positions) because they’ve been tricked into thinking that the tide is coming in or that the saturated solution is even saltier than seawater and thus an irritant, which they try to escape from. Whichever one you think is more plausible, it’s somewhat irrelevant, as we didn’t even get one (in the photo, I'm holding an empty shell to show what we were after). We asked fellow scavengers, variously armed with spades, rakes and riddles, and even the tractor drivers working the mussel farming nets, for advice and thus eventually found a spot with plenty of empty razor clam shells: close but no banana. 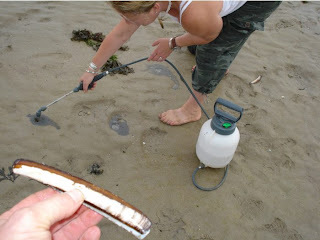 If you have any tried and tested methods for razor clam hunting, please post a comment. We didn’t leave the beach empty-handed but filled our bucket up with wild mussels and sea lettuce (Ulva lactuca). Home again, with the animals fed and watered, we sat outside with a glass each of crisply-cold French organic Riesling wine scraping barnacles and beards off the mussel shells. 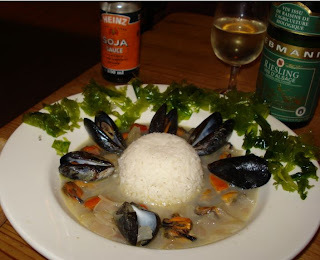 The photo shows curried mussels, served with basmati rice and garnished with the sea lettuce. My Gran used to make ususe table salt. No water, just plain salt poured on the hole and it is a 2 person job. 1 to pour one to grab them. there is a link here to how I would do it. Thanks for your comment and advice. We shall go back for a second try for razor clams soon. Thanks for the compliment as well! Are you living your own dream life? I can only dream at present. Mortgage and saddled with a house and jobs we dont want. Mortgage = pledged till death! That is what it feels like for sure at the moment.